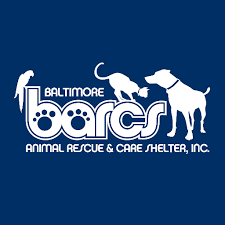 Our experienced and dedicated Baltimore veterinarians see to it that your pets in Baltimore and nearby Mount Washington get the quality veterinary care they deserve, whether it is routine care or more of an emergency situation. Whether you have a dog, a cat, or multiple pets including those with scales or feathers your pet's health is important to you and to us at Village Vet Baltimore Animal Hospital. Our practice is headed by our owner and veterinarian Dr. Robert Berry as well as two other Baltimore veterinarians and supportive staff that can take care of your pet's needs from the well pet visits, to required and supplemental vaccinations to spay and neuter surgery that will help keep them healthy and strong. To provide compassionate care to pets and their owners and ensure that each of our patients are provided with the highest quality of life possible. We take the time to educate our clients in Mt. Washington, Baltimore and the surrounding areas. Our clients are much more informed which creates a lasting and comfortable environment for pets. We like to pass on our mindset and values to our clients. This means cats, dogs or other pets will lead a much more comfortable and lasting life. As much as you want your dog or cat to be an integrated part of your family, there are times when your pet is more comfortable staying in a safe place close to home. There are also places that you need to go that are more welcoming to you than they are to your pet. Because of this, Village Vet Baltimore Animal Hospital provides boarding services for pets who are current with their required vaccines and parasite removal. Out staff is very attentive to pets that are entrusted to our care, and we make sure that both cats and dogs get the attention they need. This may include pets and cuddles and belly rubs for any pet that wants them, and three short walks a day to assure that they have the exercise they need while you are away, whether it is just for the day, or longer. Not every medical need your pet needs is something predictable. Your dog may step on sharp glass while on a walk, or your cat might maneuver his way into a cupboard where something poisonous is kept, or you might notice behavioral changes such as confusion or lethargy that you want to address right away. At Village Vet Baltimore Animal Hospital, your Baltimore or Mount Washington pet won't have to wait days for an appointment to be seen. Simply call us or bring your pet in during our regular hours and we will get them treated right away. Of course, emergencies don't always happen at convenient times, and should you run into one outside our hours it may be comforting to know that we maintain strong relationships with the local vet emergency services of EVC in Catonsville as well as Pet ER in Towson for critical care needs. NO matter which veterinarian handles your pet's immediate emergency, quality follow up care with your regular Baltimore veterinarian is necessary to assure the best recovery for your pet. At Village Vet Baltimore Animal Hospital, we believe that every pet should get the veterinary care they need, and we accept a variety of payment methods to assure that pet owners have the options they need include cash payments, credit cards, pet insurance, and CareCredit. To learn more about our veterinarians in Baltimore, or to schedule an appointment, contact us at 410-367-8111 to schedule an appointment.